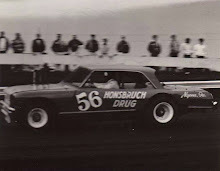 Don White of Keokuk, Iowa, won the 1968 Governor's Cup at the Milwaukee Mile in record-breaking fashion. 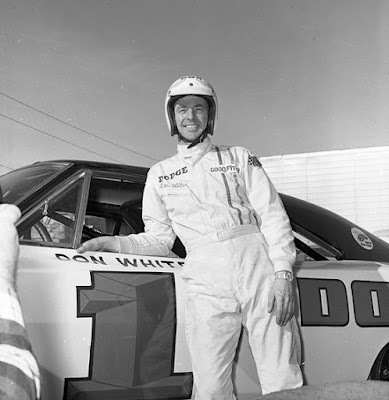 West Allis, Wis. (September 8, 1969) – Don White came up with one his finest driving performances as he scored a record-breaking win the 250-mile USAC championship late model stock car race on Sunday afternoon at State Fair Park Speedway. White tooled his 1968 Dodge Charger at a record-breaking clip, setting new track records and finishing the race with a new mark of 2 hours, 32 minutes, and 12.067 seconds, averaging 98.52 miles per hour. 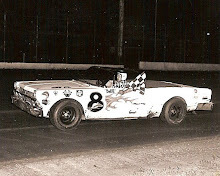 After the race, White received the Pure Oil trophy from “Miss Firebird” Winkie Louise, and the Tony Bettenhausen Miller High Life trophy as the “outstanding stock car driver for 1968” at Milwaukee. There were only three leaders in the race. 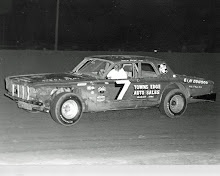 Parnelli Jones wheeled his 1968 Ford Torino into the lead at the outset, but gave way to White on the 10th mile. White held on until the 84th mile when he pitted for gas and Butch Hartman took over. Hartman managed to stay out front until lap 113 when the irrepressible White took the lead again, which he held to the finish. Ford marshaled an impressive array of talent in A.J. 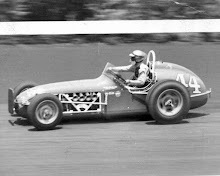 Foyt and Jack Bowsher in Bowsher-prepared Fords and Jones in the Bill Stropped setup, but the trio was no match for White, or even Hartman, for that matter, finishing fourth, fifth and sixth respectively. White and Hartman gave MoPar engineers something to cheer about as they dominated the event. 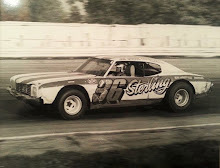 The little heralded Hartman took on some of the biggest names in racing and more than held his own.